The new mini-WASP array will not be a cheap facility to get up and running, and I took early retirement in September 2010 which makes this quite a foolish undertaking given my present financial situation, i.e. pensioner 🙂 However – it is great that in this very tough economic climate our suppliers are willing to (seriously) discount their gear in order for me to be able to proceed with this highly ambitious project. This section of the New Forest Observatory web site has been created to show my appreciation to our generous suppliers – note that these guys do not need to give me such generous discounts at all – after all they have to make a living too! However – they can see the unique opportunity that will be afforded by having the mini-WASP imaging array up and running – and they very generously want to help it along and be a part of the project. I can only say – THANK YOU GUYS – I really do appreciate your help with this, and please keep watching this site to monitor progress. The first mini-WASP array project sponsor I would like to thank is Kieron McGrath who runs SCS Astro http://www.scsastro.co.uk/ Kieron knew from quite a while back that I was in desperate need of a new Paramount for the mini-WASP array and he kept a look out for me in the marketplace. 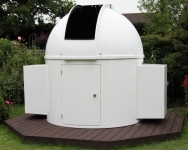 Just over a year ago Kieron managed to get me a Paramount at an extremely good discounted price, and it is now up and running in my study, ready to be moved down into the new 2.2m observatory dome when I’ve got it installed. 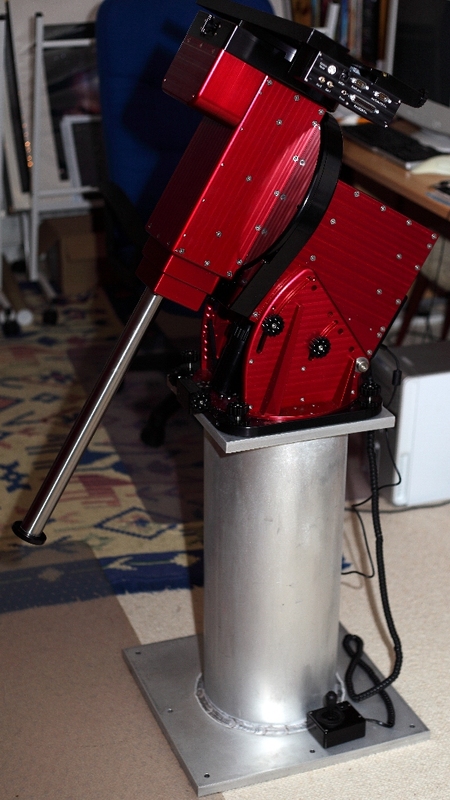 So my first sponsor big THANK YOU goes to Kieron, as the first supplier to come on board in helping get this project off the ground – and he got on board in a big way – supplying what is basically the very heart of the mini-WASP imaging array. Kieron actually comes in first AND second with sponsoring the mini-WASP array. He has also supplied me with 2 x 52mm Hutech IDAS filters at an extremely good price. Thank you once again Kieron 🙂 Why 52mm filters? Because the camera rotator on the Sky 90 actually comes with a filter thread for 52mm filters – excellent. Way up the optical chain and clearly a well-designed size for minimal vignetting. 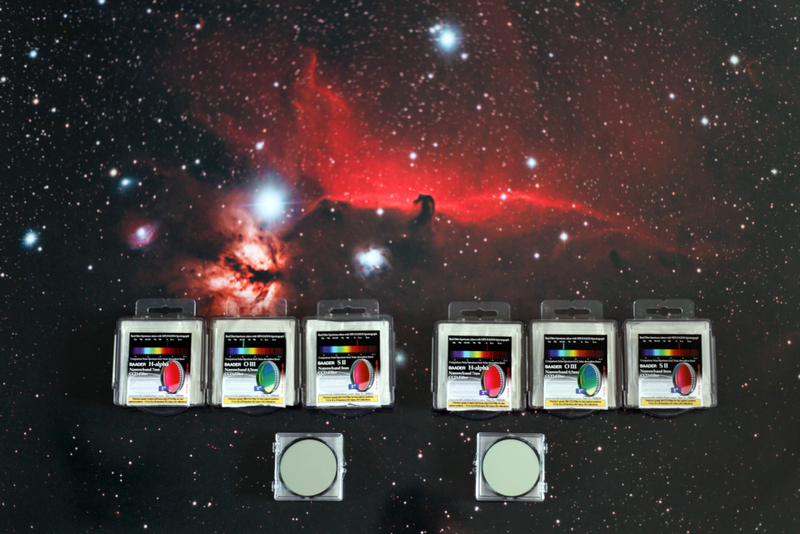 Only problem is I’m not sure I can get 52mm narrowband filters to fit in there – would be great if I could source those. And believe it or not Kieron bailed me out for a third time when he supplied me with a third Paramount counter weight in double fast time when I found that the two weights supplied were not quite enough to balance up the mini-WASP framework loaded with scopes, cameras and filter-wheels. 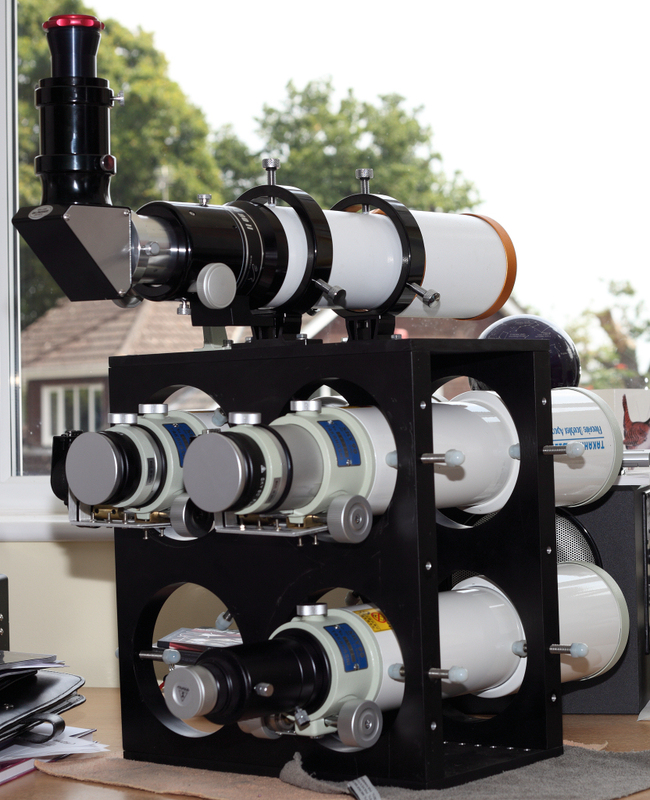 The mini-WASP array project has now been sponsored by Ian King who runs Ian King Imaging http://iankingimaging.com/ Ian has just provided me with two sets of Baader narrowband filters at an excellent price – thank you Ian. I now have the Baader 2″ narrowband filters for two filter wheels to go onto the two Sky 90 refractors. 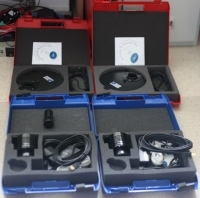 The filter sets include, H-alpha, H-beta, SII and OIII so the 5-position filter wheel will take one each of these and an unoccupied slot for straight LUM data. Well after some years of trying we finally managed to do some business together 🙂 Great!! Gary & Dave of Pulsar Observatories Ltd. have just installed the new house for the mini-WASP array just over an hour ago (July 12th 2011) 🙂 Really great job guys – fast and efficient! Thank you very much for the great deal too, I appreciate you don’t need to offer deals with your rock bottom prices, but at least you can sleep at night knowing that this pensioner can eat this week 🙂 🙂 Joking aside – your new design is simply brilliant and the silent, fingertip rotation of the dome is very impressive indeed. The New Forest Observatory greatly appreciates your sponsorship and is looking forward to seeing you again shortly at the “first light” BBQ party. 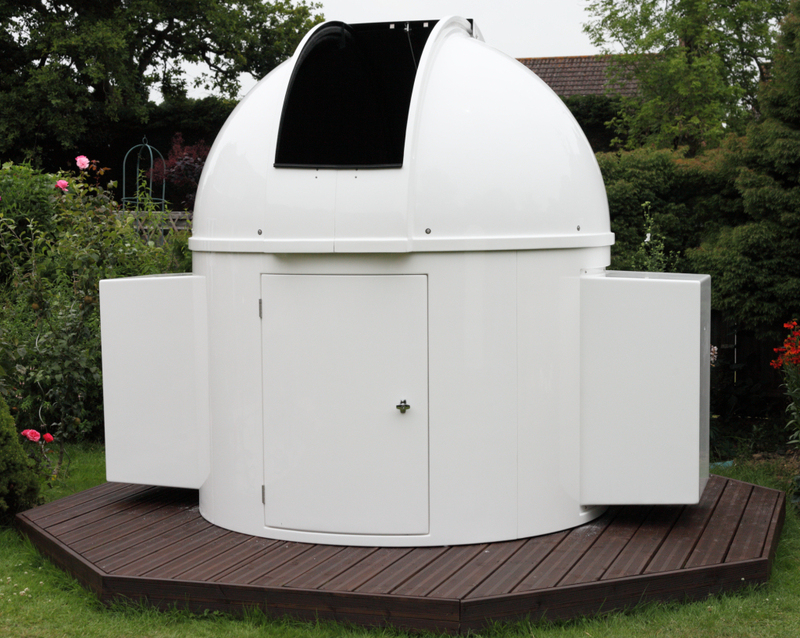 Fabulous, very helpful, I am in the early stages of planning for a small, robotic observatory, as my home suffers a bit from light pollution. This project is a real inspiration. Living in Somerset, it’s good to have the very helpful SCS Astro, just down the motorway. You’re very welcome 🙂 Have you built your robotic observatory? ?